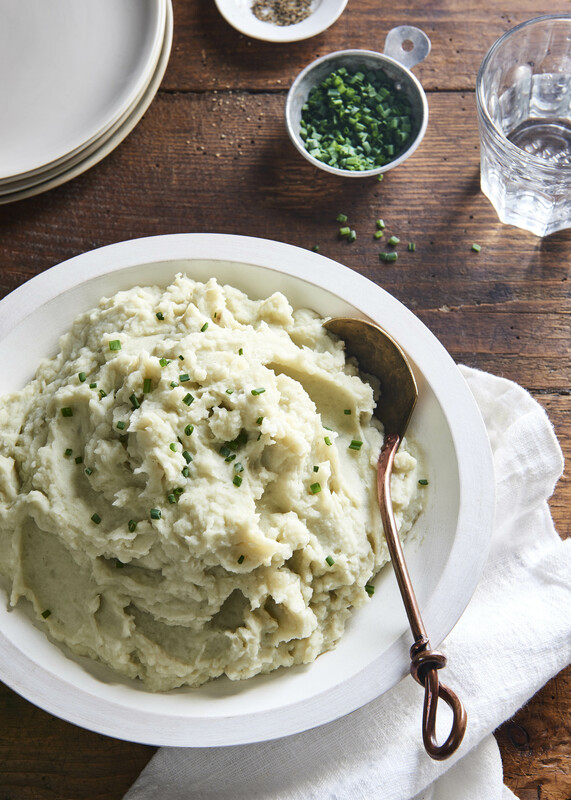 A perfect side dish, these Rosemary Mashed Potatoes can make just about anyone happy with a blend of potatoes, cashews, pepper and Massel Vegetable or Chicken-style broths. Place the chopped potatoes in a large saucepan, cover with water, and bring to a boil. Reduce the heat to medium-high, and simmer for 8 to 10 minutes until tender. Drain well. In a skillet over medium heat, warm the grape seed oil, and sauté the garlic and onion for 5 to 10 minutes until soft and translucent and just starting to brown. Allow the mixture to cool for 5 minutes. Pour the broth, cashews, rosemary, seasoning powder, and pepper into your blender, add the cooked onion and garlic mixture, and blast on high for 30 to 60 seconds, until smooth and creamy.